Polar White 2018 Mercedes-Benz C-Class C 300 4MATIC® 4MATIC® 9-Speed Automatic 2.0L I4 Turbocharged 4MATIC®. 23/32 City/Highway MPG -Polar White 2018 Mercedes-Benz C-Class C 300 4MATIC® 4MATIC® 9-Speed Automatic 2.0L I4 Turbocharged 4MATIC®. Black 2018 Mercedes-Benz C-Class C 300 4MATIC® 4MATIC® 9-Speed Automatic 2.0L I4 Turbocharged 4MATIC®. 23/32 City/Highway MPG -Black 2018 Mercedes-Benz C-Class C 300 4MATIC® 4MATIC® 9-Speed Automatic 2.0L I4 Turbocharged 4MATIC®. Black 2019 Mercedes-Benz C-Class C 300 4MATIC® 4MATIC® 9-Speed Automatic 2.0L I4 Turbocharged 4MATIC®. 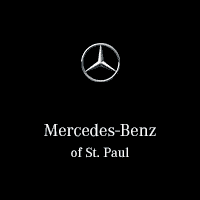 22/33 City/Highway MPG -Black 2019 Mercedes-Benz C-Class C 300 4MATIC® 4MATIC® 9-Speed Automatic 2.0L I4 Turbocharged 4MATIC®. Gray 2019 Mercedes-Benz C-Class C 300 4MATIC® 4MATIC® 9-Speed Automatic 2.0L I4 Turbocharged 4MATIC®. 22/33 City/Highway MPG -Gray 2019 Mercedes-Benz C-Class C 300 4MATIC® 4MATIC® 9-Speed Automatic 2.0L I4 Turbocharged 4MATIC®. Blue Metallic 2018 Mercedes-Benz C-Class C 300 4MATIC® 4MATIC® 9-Speed Automatic 2.0L I4 Turbocharged 4MATIC®. 23/32 City/Highway MPG -Blue Metallic 2018 Mercedes-Benz C-Class C 300 4MATIC® 4MATIC® 9-Speed Automatic 2.0L I4 Turbocharged 4MATIC®. Desg Cardinal R 2019 Mercedes-Benz C-Class C 300 4MATIC® 4MATIC® 9-Speed Automatic 2.0L I4 Turbocharged 4MATIC®. 22/33 City/Highway MPG -Desg Cardinal R 2019 Mercedes-Benz C-Class C 300 4MATIC® 4MATIC® 9-Speed Automatic 2.0L I4 Turbocharged 4MATIC®. Silver Metallic 2019 Mercedes-Benz C-Class C 300 4MATIC® 4MATIC® 9-Speed Automatic 2.0L I4 Turbocharged 4MATIC®. 22/33 City/Highway MPG -Silver Metallic 2019 Mercedes-Benz C-Class C 300 4MATIC® 4MATIC® 9-Speed Automatic 2.0L I4 Turbocharged 4MATIC®. Lunar 2019 Mercedes-Benz C-Class C 300 4MATIC® 4MATIC® 9-Speed Automatic 2.0L I4 Turbocharged 4MATIC®. 22/33 City/Highway MPG -Lunar 2019 Mercedes-Benz C-Class C 300 4MATIC® 4MATIC® 9-Speed Automatic 2.0L I4 Turbocharged 4MATIC®. Iridium 2019 Mercedes-Benz C-Class C 300 4MATIC® 4MATIC® 9-Speed Automatic 2.0L I4 Turbocharged 4MATIC®. 22/33 City/Highway MPG -Iridium 2019 Mercedes-Benz C-Class C 300 4MATIC® 4MATIC® 9-Speed Automatic 2.0L I4 Turbocharged 4MATIC®. Lunar 2019 Mercedes-Benz C-Class C 300 4MATIC® 4MATIC® 9-Speed Automatic 2.0L I4 Turbocharged 4MATIC®. Recent Arrival! 22/33 City/Highway MPG -Lunar 2019 Mercedes-Benz C-Class C 300 4MATIC® 4MATIC® 9-Speed Automatic 2.0L I4 Turbocharged 4MATIC®.